Every marketing activity is an opportunity to inform and excite. 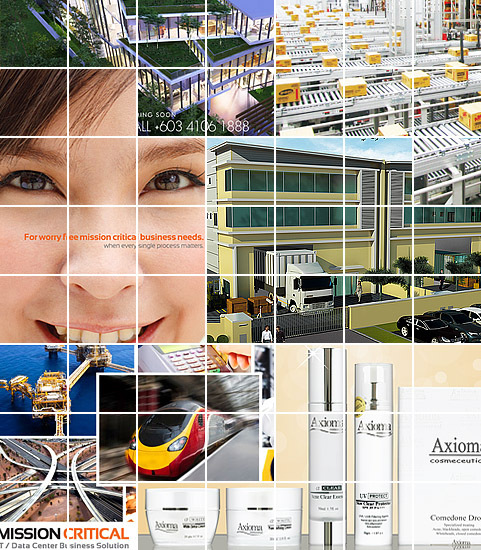 A strategic branding agency Malaysia that provides branding consultation and integrated creative solutions. We specialise in branding solutions that identify and highlight the unique difference in your brand and product. Our goal is to deliver an engaging concept that successfully communicates brand value to your clients and customers. With SurfLoft, every branding activity is an opportunity to inform and excite. Our creative agency philosophy, creative communication delivers results when distinctive designs blend with smart marketing strategy. Our Malaysia clients including multinational company (MNC), property developer, manufacturer, engineering company, IT company, software developer and regional organization. Copyright © 2018 SURFLOFT SDN BHD (837864-M). All rights reserved.